Vous souhaitez poser une question à l'établissement Dharaburee Butique Hotel ? Construit en 2009, le Dharaburee Butique Hotel est non seulement un excellent choix pour les voyageurs mais aussi un établissement unique de Nakhon Ratchasima. De là, les clients peuvent facilement se déplacer et profiter de tous les avantages offerts par cette ville dynamique. Entretien impeccable et proximité avec The Mall Ratchasima, Klang Plaza - Jomsurang, Korat Memorial Hospital confèrent à cet établissement un charme unique. À travers ses services de qualité et un vaste éventail d'équipements, le Dharaburee Butique Hotel s'attache à rendre votre séjour aussi agréable que possible. Les WiFi gratuit dans toutes les chambres, WiFi dans les espaces communs, parking, service en chambre, navette aéroport ne sont que quelques-uns des équipements à la disposition de chaque hôte. Toutes les chambres ont été conçues pour le plus grand confort des hôtes. La plupart d'entre elles disposent même d'une gamme d'équipements tels que télévision écran plat, accès internet (sans fil), internet sans fil (gratuit), bain à remous, chambres non-fumeurs, et bien plus encore, qui satisferont les clients les plus exigeants. Grâce au vaste éventail de loisirs proposé par l'hôtel, les hôtes ne manqueront pas d'activités durant leur séjour. 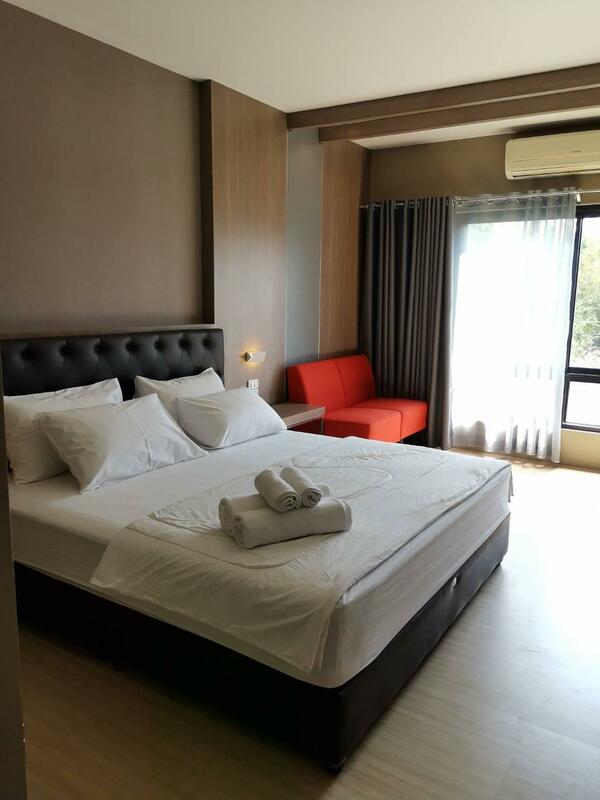 Quelle que soit la raison qui vous amène à Nakhon Ratchasima, le Dharaburee Butique Hotel est l'établissement qu'il vous faut pour une escapade grisante. Hotel sympatique, tres calme,la reception des voyageurs est tres courtoise,les chambres sont tres grandes la literie et les draps impecables, le probleme est l'entretien de la partie salle de bains qui laisse a desire, le petit dejeuner est quand a lui bien servie dans une salle sur un bassin agreable,le plus gros probleme de l'hotel est l'eloignement par rapport au centre de la ville, mais les touk touk ne sont pas cheres. Loved that it felt more like a home than a hotel. Obliging and friendly owner/manager, very helpful staff and a great restaurant. Local dishes tasted authentic but the Western-styled grilled salmon was exceptional. Would love to go back! Interior & Decoration Style (A combination of modern and vintage), Very private and quiet, Not too far from the attraction areas and restaurants. Good for business trip. Worth the money. Staffs need more training. This hotel is nice but a little run down. The picture on Agoda is mis-leading. The location is significantly wrong from the map on Agoda. The hotel is shown on the map to be very close to the shopping mall. The hotel is actually a 10 minute drive from the mall. The is nothing within walking distance. Taxis at the mall refused to take me back to the hotel because it was too far. The restaurant was very good and popular with the locals. This is not a bad hotel, but it is very inconvenient for the foreign traveler. The location of the hotel was good and the overall decoration and presentation was good. The rooms were nicely done but the bathroom was not very well looked after. The bed was Very uncomfortable and hard, you could feel the springs, even my wife complained and she normally doesn't mind a hard bed. The evening meal at the attached pub/restaurant was great but breakfast was poor, you have no choice but to have the set menu which for us was rice soup and to fried eggs in a pan. I would stay again if I had no choice but as we usually stay overnight to rest during a long journey a comfortable bed is a must and we didn't find that here. A little removed from the western orientated entertainment but close by to many of the thai orientated karaokes and restaurants where the best food is anyway!! Huge room (suite) with jacuzzi, viewed other rooms too, all of which were very tastefully decorated. 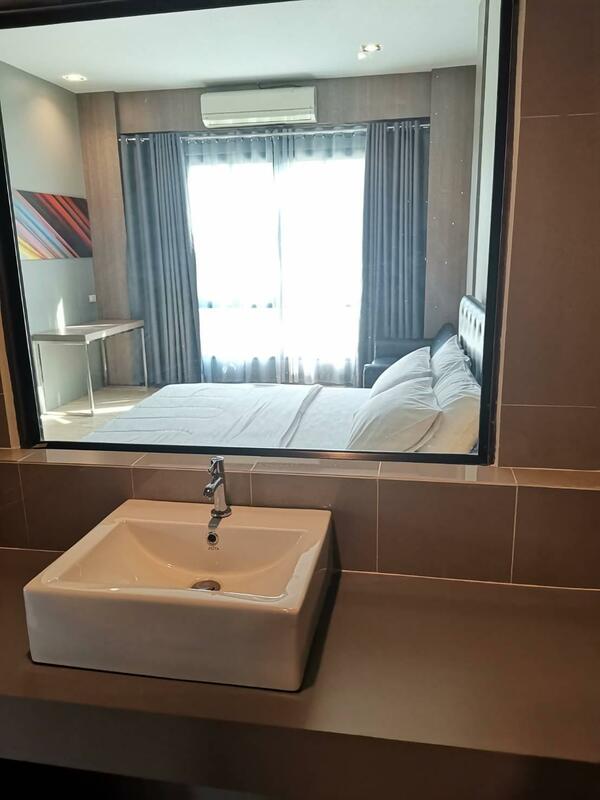 though typical services are not close by, such as convience stores, and atms, the solitude and "spa" ambiance of the suites as well as the friendliness of the staff far outweigh the lack of these services. room not completely clean bathroom could have been cleaned better. bar fridge had no refreshments. no baggage people to carry luggage up 3flights of stairs. no good for older travelers. overall it was only a bed for the night. It was a lovely hotel with nice owners. Just a bit off from major attractions. Overall, the feeling is nice. Each room have a different theme, and the room is nicely decorated. But it seems abit old. The hotel is run by a Thai family, and they are just staying beside the hotel. But their English is not very good and had a hard time understanding about what we are talking about. Each room is unique, decorated differently. on the quite side of town in korat. there is a small pub playing thai songs in the ground floor. overall average service. i could not book in any other hotel due to heavy traffic in korat. all hotel were booked and dharaburee boutique hotel was available, i stayed for 3days. it's not a luxury hotel but it worked for me. the hotel is a little far from the main attraction areas. one night on our way back to the hotel, the taxi driver got lose and i spent 2 hours, sight seeing the city trying to find my way back to the hotel. it's a family run, small hotel with a big smile. all of employees were friendly and helpful. everything was good except for the theme of room which i was in, "in love", the bed was kinda hard as we were almost sleeping on the springs itself and no mattress/cushion was felt. the jacuzzi also contained too much dirt each time it was on and we decided not to use it after 2 tries of cleaning it. wifi speed was extremely good probably because of the amount of people using it. there were barking dogs in the middle of the night behind the hotel -- all rooms face the back so dogs could not be avoided. i asked about safe deposit box -- actually it is one safe at reception with all employees having the combination. not even a sealed envelope was offered!! i quickly took all my belongings out the next morning! !